“Tenebrae” is the name given to the service of Matins and Lauds belonging to the last three days of Holy Week. It differs, in many things, from the Office of the rest of the year. 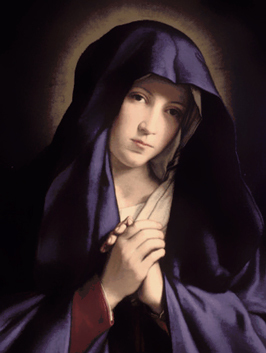 All is sad and mournful, as though it were a funeral service; nothing could more emphatically express the grief that now weighs down the heart of our holy Mother the Church. Throughout all the Office of Thursday, Friday and Saturday, she forbids herself the use of those formulas of joy and hope wherewith, on all other days, she begins her praise of God. Nothing is left but what is essential to the form of the Divine Office: psalms, lessons and chants expressive of grief. The tone of the whole Office is most noticeably mournful: the lessons taken from the Lamentations of Jeremias, the omission of the Gloria Patri, of the Te Deum, and of blessings etc., so the darkness of these services seems to have been designedly chosen to mark the Church’s desolation. The lessons from Jeremias in the first Nocturn, those from the Commentaries of St. Augustine upon the Psalms in the second, and those from the Epistles of St. Paul in the third remain now as when we first hear of them in the eighth century. The name “Tenebrae” has been given because this Office is celebrated in the hours of darkness, formerly in the evening or just after midnight, now the early morning hours. There is an impressive ceremony, peculiar to this Office, which tends to perpetuate its name. There is placed in the sanctuary, near the altar, a large triangular candlestick holding fifteen candles. 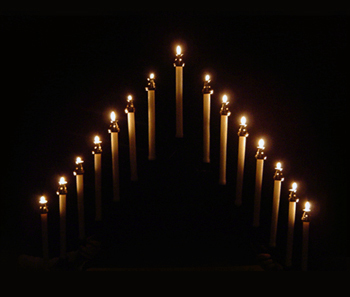 At the end of each psalm or canticle, one of these fifteen candles is extinguished, but the one which is placed at the top of the triangle is left lighted. During the singing of the Benedictus (the Canticle of Zachary at the end of Lauds), six other candles on the altar are also put out. Then the master of ceremonies takes the lighted candle from the triangle and holds it upon the altar while the choir repeats the antiphon after the canticle, after which she hides it behind the altar during the recitation of the Christus antiphon and final prayer. As soon as this prayer is finished, a noise is made with the seats of the stalls in the choir, which continues until the candle is brought from behind the altar, and shows, by its light, that the Office of Tenebrae is over. Let us now learn the meaning of these ceremonies. 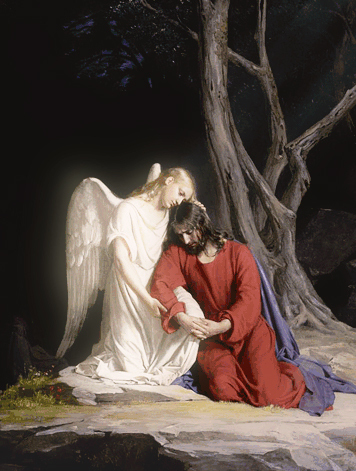 The glory of the Son of God was obscured and, so to say, eclipsed, by the ignominies He endured during His Passion. He, the Light of the world, powerful in word and work, Who but a few days ago was proclaimed King by the citizens of Jerusalem, is now robbed of all his honors. He is, says Isaias, the Man of sorrows, a leper (Isaias 53:3,4). He is, says the royal prophet, a worm of the earth, and no man (Psalm 21:7). He is, as He says of himself, an object of shame even to his own disciples, for they are all scandalized in him (Mark 14:27) and abandon Him; yea, even Peter protests that he never knew Him. This desertion on the part of His apostles and disciples is expressed by the candles being extinguished, one after the other, not only on the triangle, but on the altar itself. But Jesus, our Light, though despised and hidden, is not extinguished. This is signified by the candle which is momentarily placed on the altar; it symbolizes our Redeemer suffering and dying on Calvary. In order to express His burial, the candle is hidden behind the altar; its light disappears. A confused noise is heard in the house of God, where all is now darkness. This noise and gloom express the convulsions of nature when Jesus expired on the cross: the earth shook, the rocks were split, the dead came forth from their tombs. But the candle suddenly reappears; its light is as fair as ever. The noise is hushed, and homage is paid to the Conqueror of death.